As I continue to plod my way through Edinburgh Marathon training I’ve taken to doing a bit of running at lunchtimes (now that I at last work somewhere with shower facilities). I thought it worth sharing the route with you as it’s a fantastic, popular, traffic-free run with a few interesting sights along the way. The start could be from anywhere in the city centre or Jewellery Quarter but, as the map indicates, I start from the B1 building opposite Spring Hill library. I enter the canal near Summer Row and then proceed towards the National Indoor Arena. You could cross here and continue down the Birmingham and Worcester canal but better by far to head up the Birmingham Mainline canal, the M6 motorway of the West Midlands canal system. I say that because it’s dead straight, very wide and with a towpath on both sides. And it’s full of lunchtime runners. Most just go up and down but I do a loop round the Soho loop. This runs at the back of the prison and then comes out again on the Mainline canal where you can head straight back to base. The straightness of the canal really lends itself to some short sprinting if you’re so inclined. There are several bridges so it’s worth trying to push hard between them and then recover to the next, repeating until you run out of bridges. In total the run is just over 5 miles. It would make a pleasant enough walk as well. If anyone fancies coming along with me one lunchtime just ask. 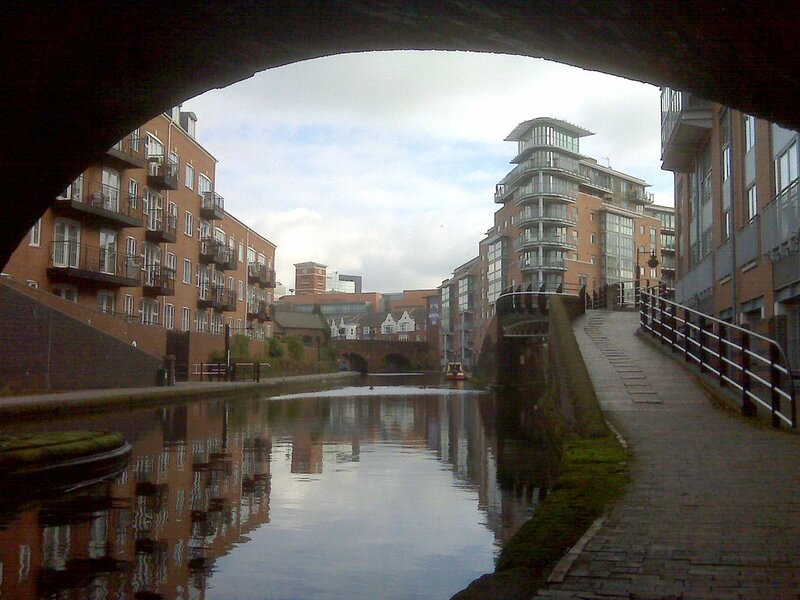 This entry was posted in Birmingham, running, walking and tagged Birmingham, canals, edinburgh, marathon, running, training, walking. Bookmark the permalink. Also v impressed with the way you have mapped it out – I am inspired to do something similar for my training run routes. Running routes… this could be one of the first “internet help to marathon training” sessions. Perhaps an enthusiastic amateur (such as myself) could benefit from a guide to improving running, starting with shorter alternative routes, gradually building to ones such as this. Who knows you could be featured on the next exercise dvd to hit the High Street by next year!? I have thought about a ‘how to start running’ series. Hadn’t thought to link it to specific routes though which isn’t a half-bad idea. Of course I’m not actually qualified in any way to teach anyone how to run other than that I do it myself. very familiar with route, it’s brilliant…..a few of us from work do most lunchtimes, see you in Edinburgh! You may not be qualified but learning from someone with as much enthusiasm would still be worthwhile!